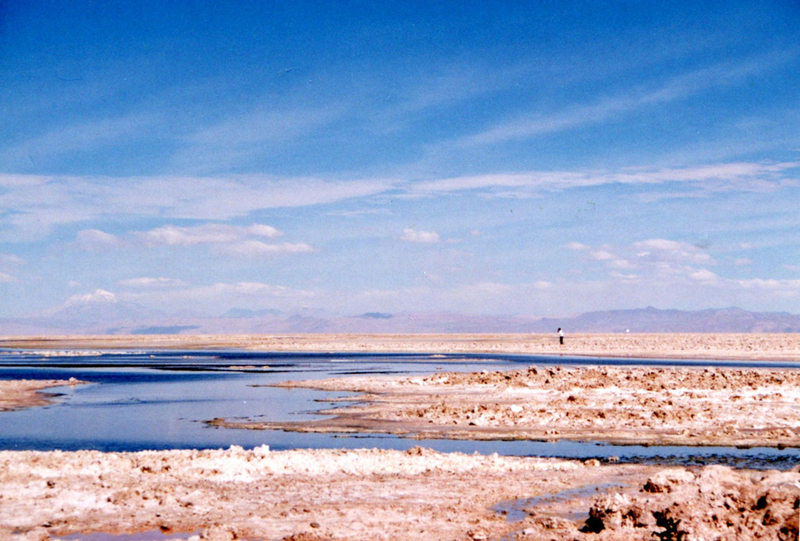 The indigenous communities of the Atacama Desert are not homogenous but consist of a number of separate cultures. 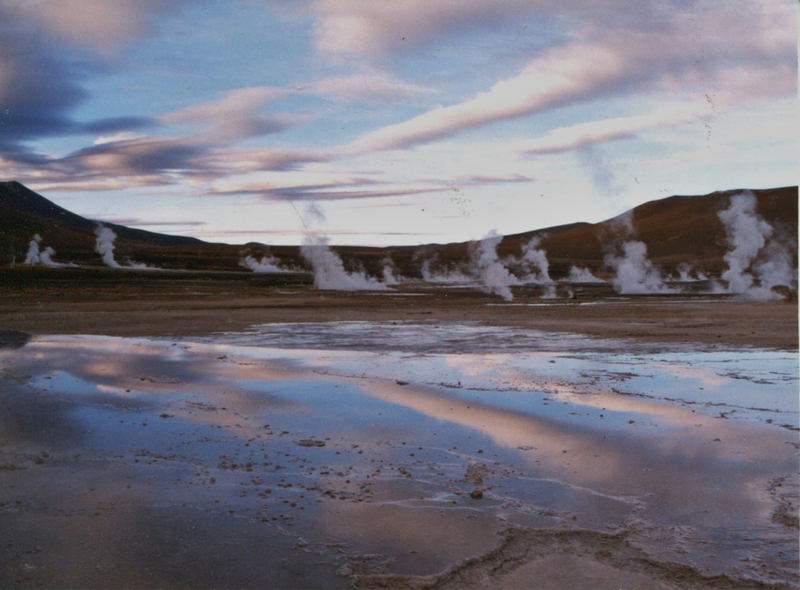 The Atacameño communities live in the oases and valleys of the Atacama salt flat and Loa river basins in Chile’s Antofagasta Region. There are also small populations in northwestern Argentina, in the highlands of Salta and Jujuy, and in the southwestern Altiplano of Bolivia. 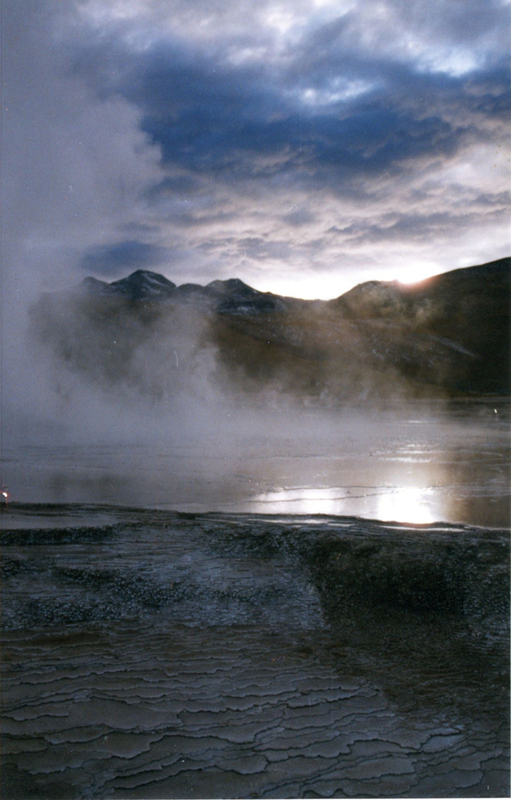 The region has a desert climate, with almost no rainfall and extreme day-night temperature variation. 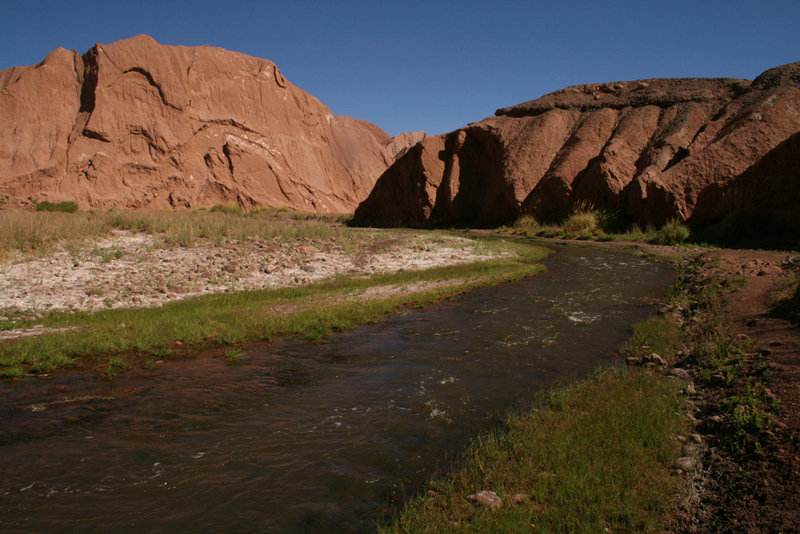 Water is present in the meadows and grazing lands that border rivers such as the Loa, the Salado and the Vilama. 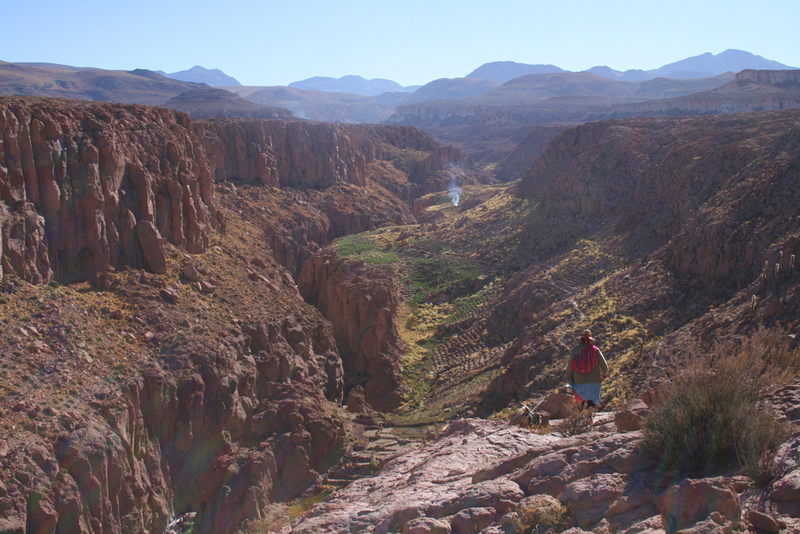 Plant life consists of high Andean species: small hardy bushes, grasses, and cushion-like yareta plants. Where water is present in oases or ravines there are stands of trees such as carob (mesquite), tamarugo (Prosopis tamarugo), chañar (Geoffroea decorticans), pepper, and others. Local wildlife also varies by region and ecosystem. Animals found here include Andean foxes, armadillos, hare-like viscachas, condors, flamingos, wild geese such as the Magellan Goose, and the llama-like guanacos and vicuñas. 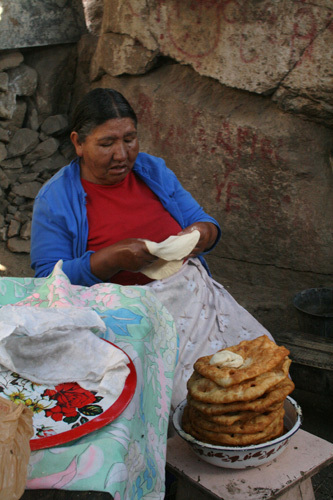 The traditional economy of the Atacameños is based on agriculture and livestock herding, activities that are practiced in the region’s different ecosystems, which are identified, classified and exploited according to the resources that they offer, be they for economic, nutritional, medicinal, ritual or technological use. Farming took place at oases, specifically in terraces built on ravine slopes and irrigated with complex water systems. Livestock husbandry was based on alpacas and llamas before the arrival of the Spanish; today, sheep, goats and mules are also raised. The people obtained meat, wool and skins from the animals, and sometimes used them (llamas and particularly mules) as beasts of burden. 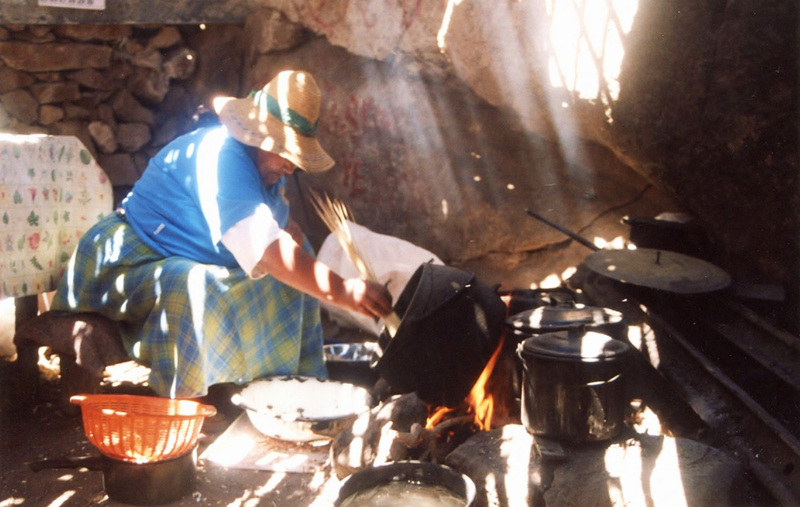 Gathering firewood and plants – mostly herbs for medicinal uses and the fruit of the chañar and carob trees for making flour and drinks – are other traditional economic activities common in the region. The Atacameños’ basic productive unit is the family, which subsists by occupying an extensive tract of this harsh, arid environment. Families often have to walk dozens of miles to reach the resources they need. A family’s property may be divided into several tracts of farmland, some often located quite far from its permanent home. This social system, based on a traditional structure of family relations and alliances, is organized to ensure access to and control over resources that are found in different environmental niches of the region. 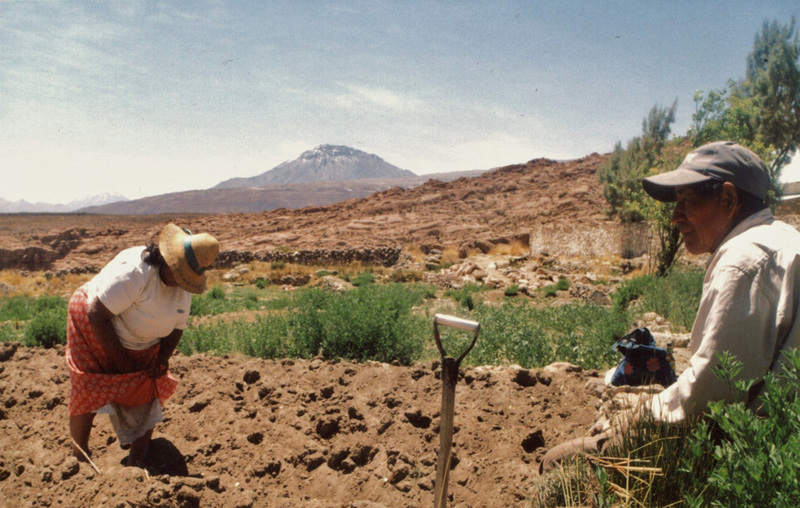 Subsistence agriculture is employed with a wide range of crops – a single plot of land might be used to grow potatoes, quinoa, maize, squashes, prickly pear and chili peppers, thereby optimizing the use of water and soil. In modern times, however, inhabitants of these locales tend to concentrate on a single, marketable crop. This puts great stress on water resources and affects the fertility of land held in common; it also weakens the social structures set up to control and manage resources, that are the basis of power and authority in the community. On the other hand, livestock herding is managed with a system of community owned pastures and meadows, although ownership by individual families is also recognized. 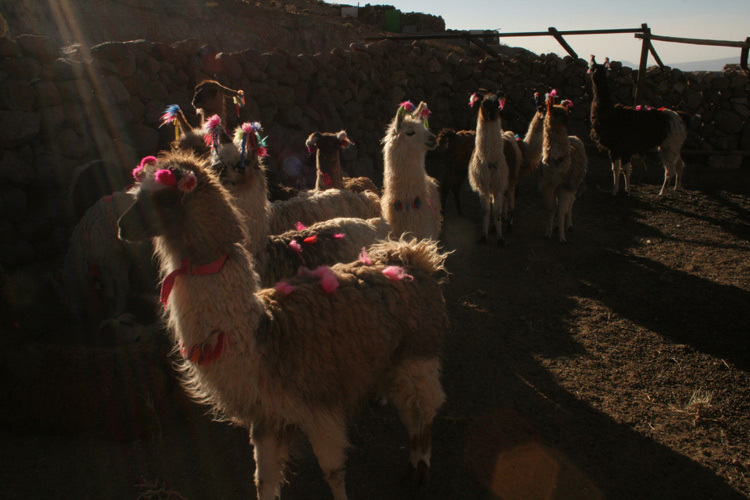 In modern times, the growth of the wool industry and gradual reductions in camelid (alpaca and llama) herds, coupled with the drying up of highland meadows, has resulted in the abandonment of less accessible grazing lands and high-altitude puna regions. 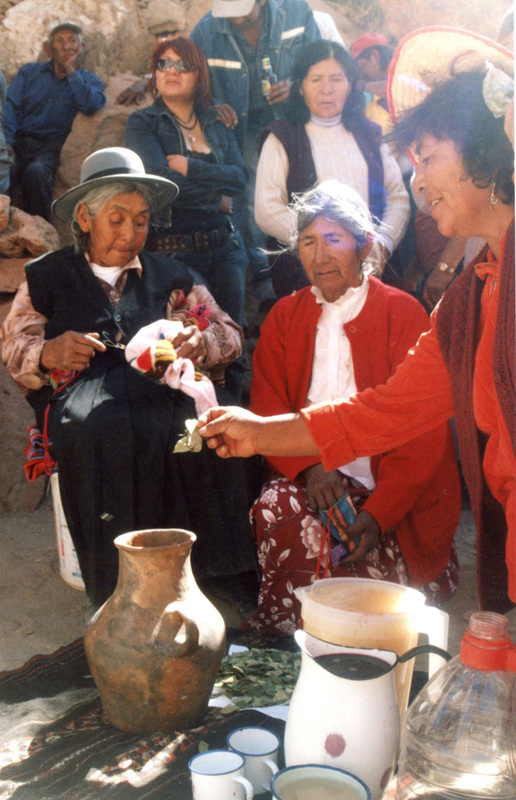 Historically, small scale bartering allowed access to products from distant regions, (particularly modern-day Bolivia and northwestern Argentina), while at the same time revitalizing social relations and interrelations among communities. In modern times, new economic activities have been added to the Atacameño way of life: salaried work in urban centers and the sale of local products in these new markets. 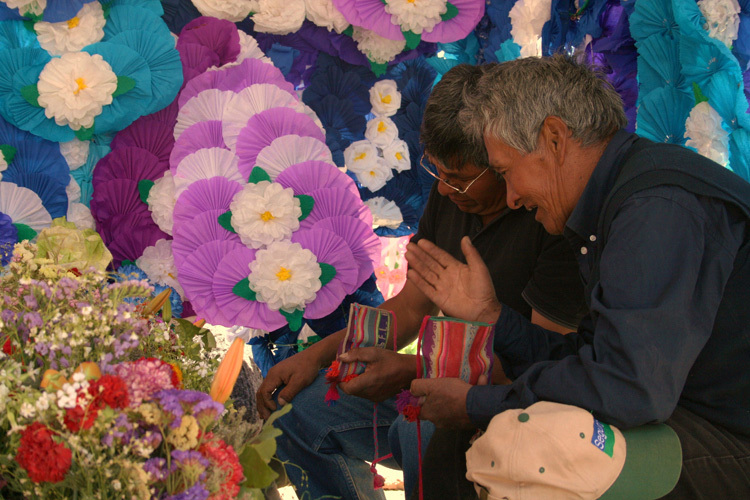 The main Atacameño arts include ceramics, basket weaving, textiles, goldsmithing, music and dance. The ancient ceramics of this region, made by the San Pedro culture, were monochrome red or black and very finely polished. Common pieces include pukos or bowls, pots, round pitchers, jars and cups, some of them decorated with abstract images of human faces or geometric patterns of triangles and zigzags. These monochrome ceramic vessels are still made today, some with animal shaped molded adornments. Although some of the ancient basket weaving techniques seem to have been lost, modern weavers still produce remarkable large baskets and flat plates. 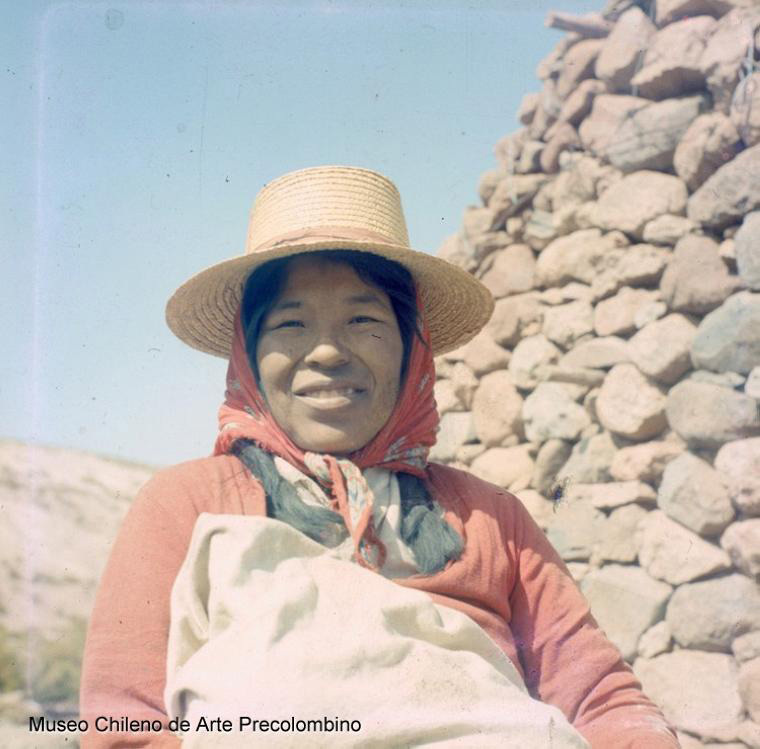 Modern Atacameños maintain a rich and diverse tradition of textile weaving using different types of looms to make bags, sashes, ornamental cloths, blankets, items of clothing, mule blankets and other accessories for herding. 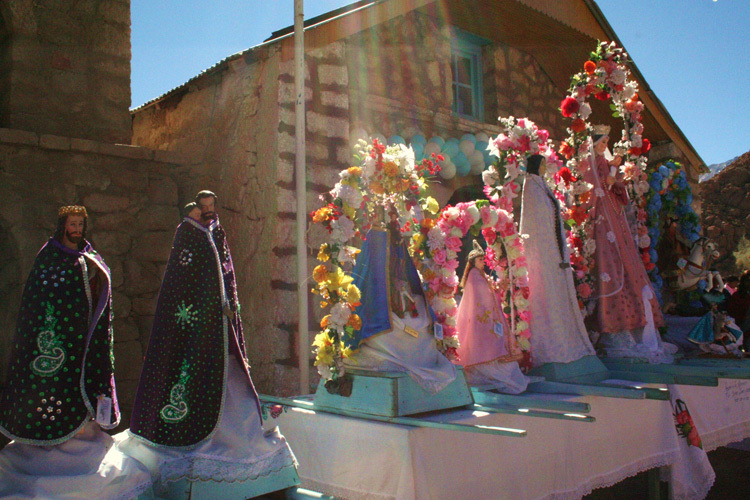 Lastly, music and dance are central artistic and ritual expressions that are most often performed during the festival celebrating a community’s patron saint. The community provides the organizational structure of Atacameño society and gives form to the social, economic and religious relations that govern a given territory owned communally by a number of family units. 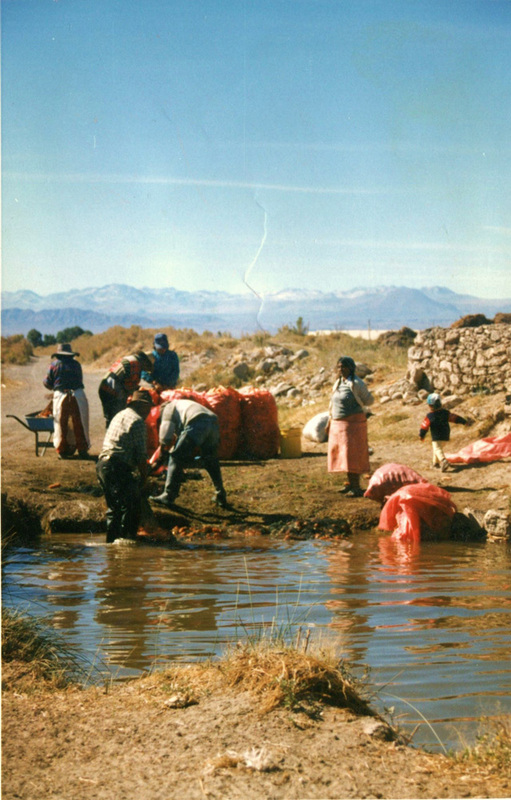 When he possesses arable land, an individual may join a community and share in the work of maintaining community resources, such as irrigation canals. Herders, however, do not achieve this status because their productive activity involves no obligation to other members of the community. The community as a whole organizes and controls the natural resources required for farming and decides on the inclusion of new members, as well as representing and defending the interests of the community in negotiations with the government and with other communities. This social structure can include multiple villages or adapt to population growth within a single settlement. The main form of Atacameño government is the Communal Assembly, composed of male and female landowners and heads of household, and presided over annually by a Mayor or Neighborhood Association President and the respective board. Other official positions can be held by regular community members, depending on the level of experience and responsibility implied; these include ‘water judge’, ‘captain’, ‘puricame’, ‘flag bearer’, among others. These positions come with social standing but can also require obligations and significant financial expenditure, requiring the support of the extended family. Relatives are classed by proximity of both family ties and physical location; blood relatives and close neighbors are referred to using regular family terms (father, brother-in-law, etc), while more distant relations are known generally as ‘clan members’ or ‘relatives’. For inter-family alliances marriage is important, but so is the system of godparents or compadres. This traditional social framework is currently being threatened by the presence of the State, the market economy, migration to urban centers and the imposition of external cultural patterns. These factors tend to weaken the cultural autonomy of the Atacameño people, but at the same time they allow traditional ways to be reorganized and restructured. In the Atacameño cosmic vision, certain high mountains considered sacred by local and even regional inhabitants. These peaks are known as ‘Providers’ – that is, they are thought to bestow riches such as pasture land, minerals and water. The people associate these peaks with farming success, fertility, weather and health, as well as personal protection and prosperity, honoring them in ceremonies to clean the irrigation canals or to pray for abundant water. These rituals sometimes include offerings made in places that are considered sacred. Rituals exist at both the community and the family level in the Atacameño culture. 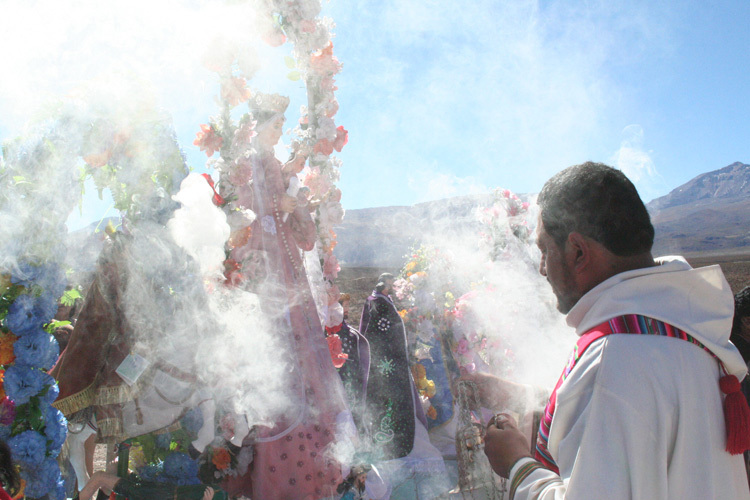 In the former case, the most important celebration—and a clear case of a syncretic Andean-Christian belief system—is the patron saint’s day. This ceremony is organized and largely paid for by the alférez (‘flag bearer’), an honorary position that comes with great responsibility and personal expenditure. Today, such celebrations are on the decline due to steady migration away from the villages, the increasing cost of operating the festivals, and pressure from the growing regional protestant evangelical movement, which opposes these traditional belief systems. Other community ceremonies are related to agricultural cycles; these include canal cleaning, sowing or ‘flourishing’, and livestock mating. For their part, family rituals are related to the life cycle: baptism, marriage, roofing new homes, and death, along with some related to health and ancestor worship. Yatiris are local experts in rituals and medicine that are roughly equivalent to shamans or witch-doctors. Funeral rites consist of four stages that take an entire year to complete. 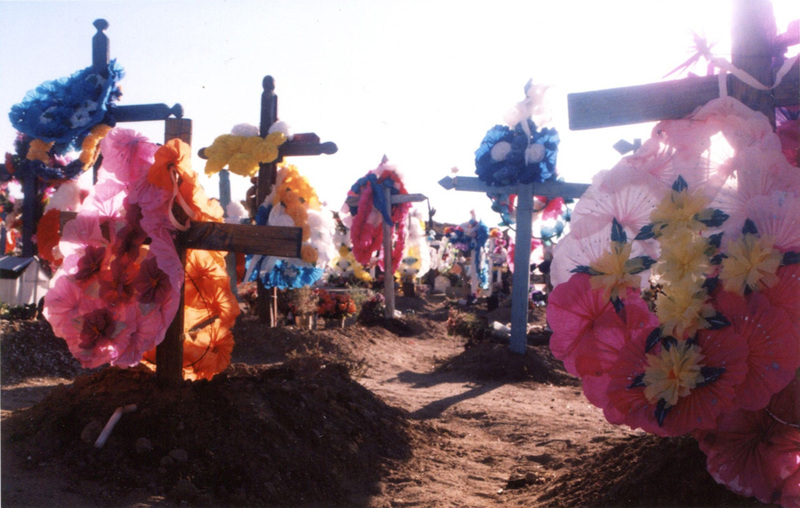 First, at the time of death the family sings and prays for a day and a night in a ritual known as cóflar. The deceased is then dressed and the sash that he wore in life is exchanged for a funerary one; on the same day, all the deceased’s clothes are washed and the yatiri ‘cleanses’ the living family members. A year after the death, the yatiri presides over a final ceremony to bid farewell to the deceased in a ceremony known as ‘the end of the year’. The Atacameños’ surroundings are organized along economic and social lines. The environment has three components: the chacra (small agricultural plot), consisting of the permanent dwelling and farming terraces; the campo (field), where livestock graze and a small lodge is kept for temporary shelter; and finally the cerro (mountain), the wilderness area where locals collect plants and firewood, hunt, and graze llamas and alpacas. Settlements are dispersed, with farmland surrounding the village and grazing lands further afield. Dwellings are rectangular in shape and made of stone and/or mud, with beams of carob or cactus wood and a straw roof. Small circular adobe compartments are installed above the ceiling to store maize, potatoes, beans, quinoa, and carob or chañar fruit. When a new house is built in the springtime, it is roofed with fresh straw and reeds. When the task is finished, a cross tipped with red and white wool is placed on top to ward off evil. Atacameño settlement patterns also include complex agricultural terraces and irrigation canals, which are the foundation of their agricultural system. 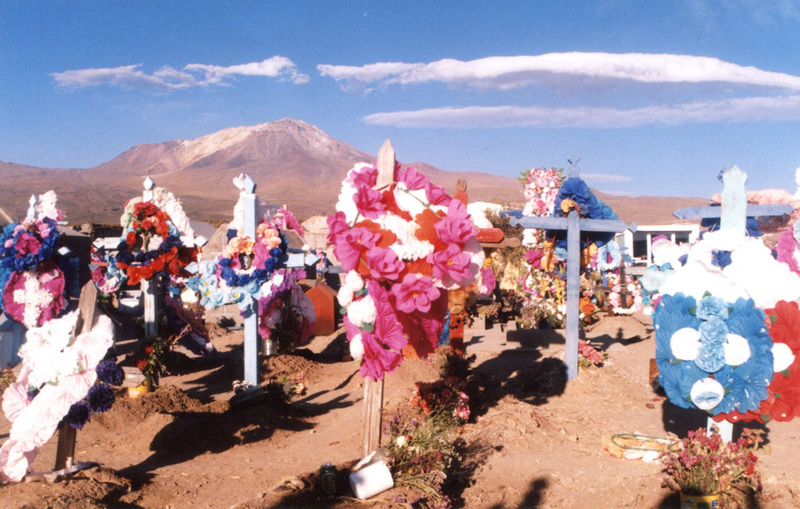 The Atacameños, Atacamans, or licantay, which in their language means ‘the inhabitants of the territory’, are descendents of the extinct San Pedro culture, which can be traced back at least 1500 years. At the start of the fifteenth century, Inka ruler Túpac Yupanqui conquered their territory, bringing new social and political structures and imposing sun worship as the new religion. The new rulers changed some of the old rituals, exchanging the consumption of hallucinogenic plants for the use of Andean coca leaves. 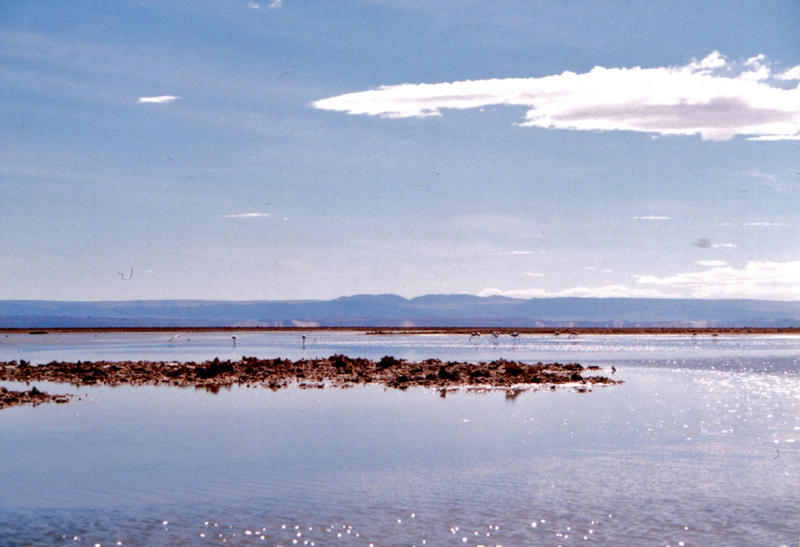 The Inkas also expanded their road network into the region, connecting the Atacama salt flat with the Altiplano and mountainous territory of what is now northwestern Argentina. The indigenous population resisted the Spanish conquistadors when they first arrived in 1536, and it was not until twenty years later that the region was pacified through a peace treaty signed at Suipacha. Towards the end of the sixteenth century the Spanish colonial civilization reached the region, bringing evangelization and two controversial customs of the conquistadors: encomiendas, the subjugation of indigenous groups as serfs under a conquistador lord; and mercedes de tierra, huge land grants made to the same Spanish nobles. 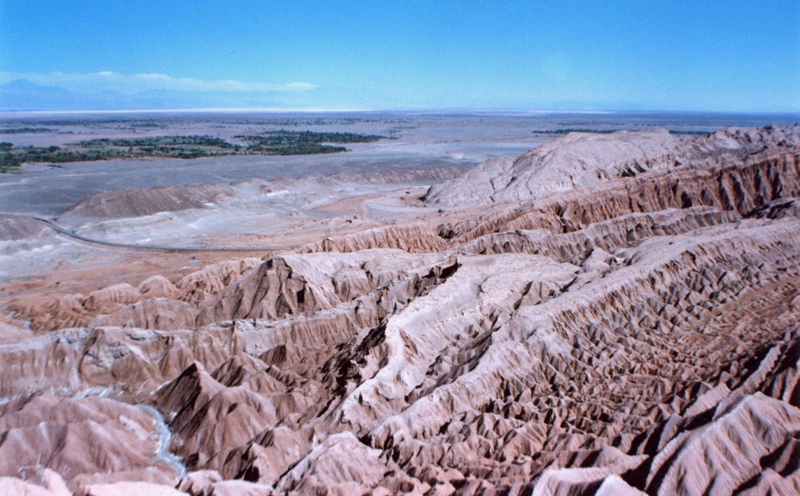 The town of San Pedro de Atacama became a major political center for the region. 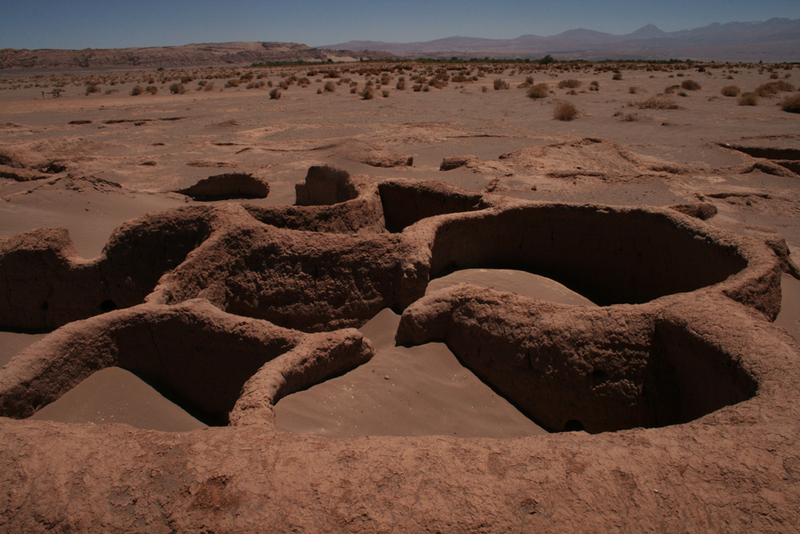 The seventeenth century brought major cultural and technological changes to the people of the Atacama Desert. Mules were introduced as beasts of burden, for example, and due to a number of factors the area underwent progressive depopulation. In the eighteenth century, against the backdrop of crisis and transformation among Andean indigenous peoples, the messianic uprisings of Inka pretender Túpac Amaru and Tomás Catari occured. 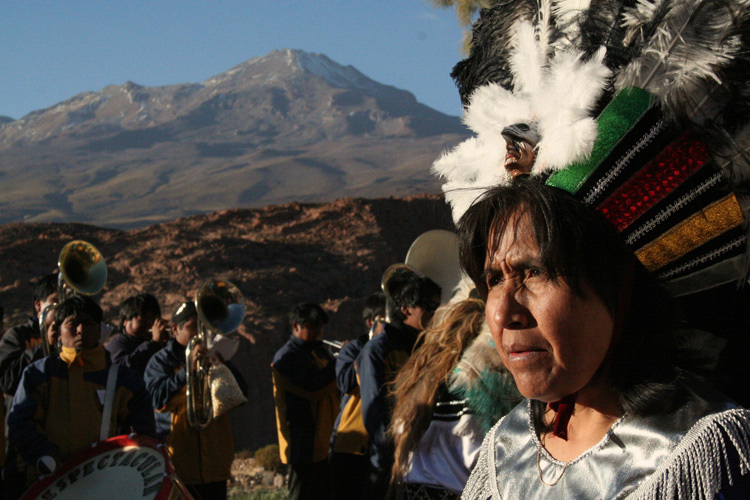 These movements spread to the Atacama region under the leadership of Tomás Paniri, member of a local indigenous group. With independence won from Spain in 1824 the colonial period ended and the Atacama region became part of the Republic of Bolivia. The growth of trade and commerce led to the rapid development of the region, which was annexed by Chile after the War of the Pacific in 1883. 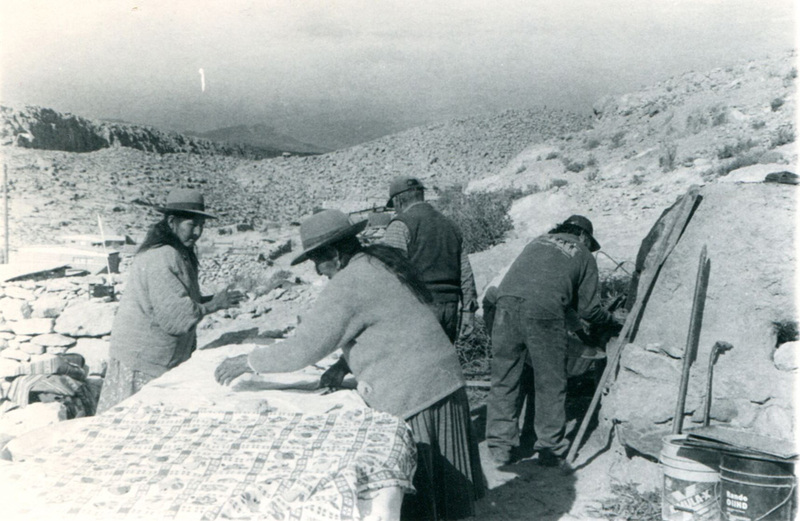 With the region now governed from Santiago, its economy grew with the expansion of the mining sector, which took advantage of the region’s mineral wealth to produce first saltpeter (nitrate) and later copper. This produced large scale immigration, the proletarianization of the indigenous peoples of the area, and the usurpation of water resources by the new industries that were springing up. Today, 21,015 Chileans –3.04% of the country’s total indigenous population—identify themselves as Atacameño or licanantai. The native tongue of the Atacameño people is kunza, though this language has been extinct for at least a century. Only a few traces of it remain, mainly in ceremonial and ritual songs and chants, and of course in the place names of the traditional territory. 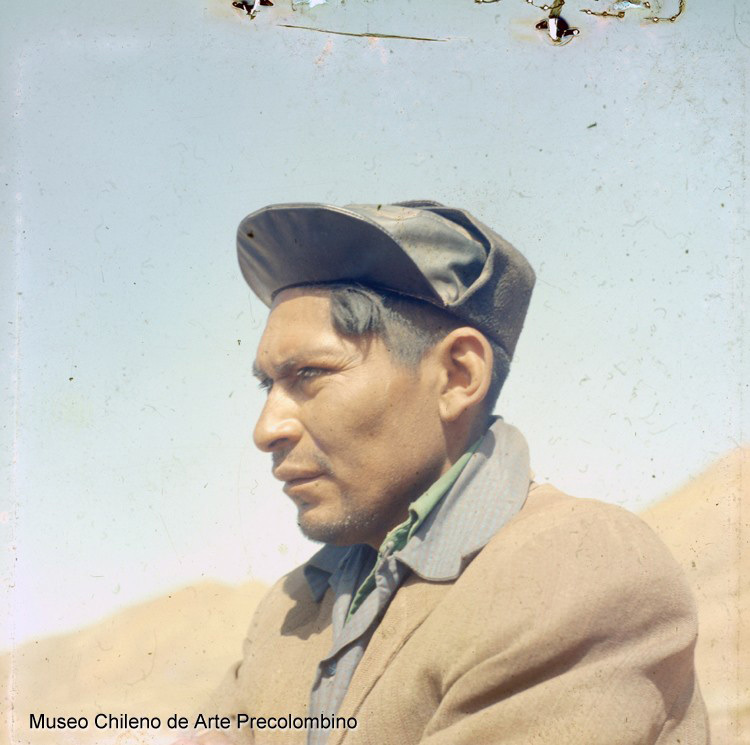 The language belongs to the macro-chibcha family and the paezano sub-family – that is, it did not originate in the equatorial Andes, like Quechua and Aymara. 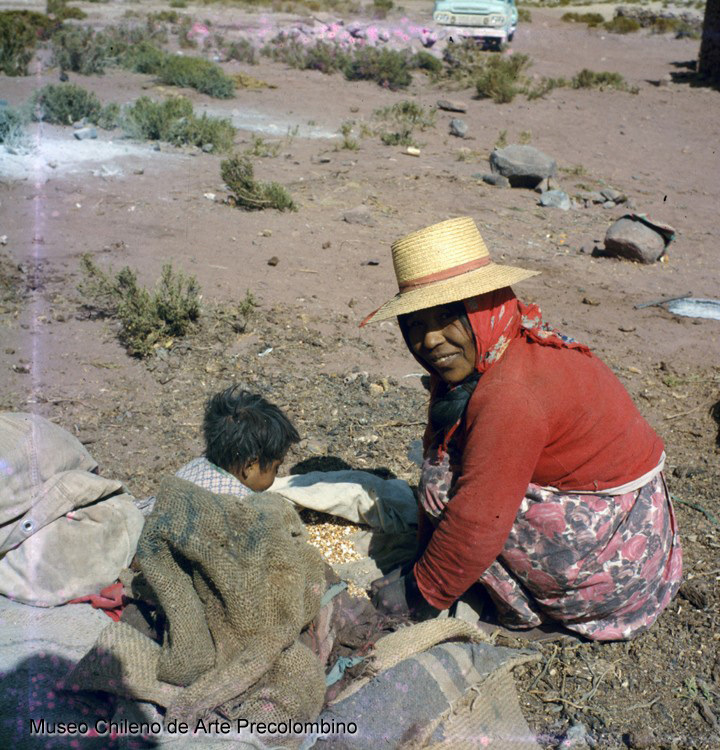 In the past, many Atacameños were multilingual, also speaking Aymara, Quechua and, in later times, Spanish.